We’d love your help. Let us know what’s wrong with this preview of The Runaway by Patricia St. John. 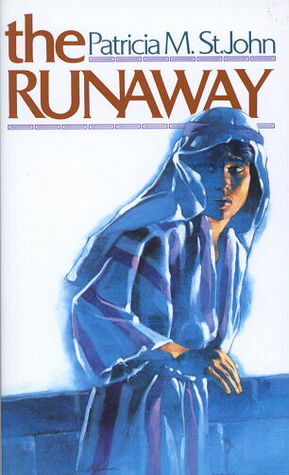 To ask other readers questions about The Runaway, please sign up. Hated it so much. Don't understand why we have to read those stupid books for school. I have yet to read a Patricia St John book we didn't like! This one was no exception!! We read this out loud at bedtime with my 10.5, almost 8, and 5.5 yr olds. They loved when they made the connection from one of the fictional minor characters to the Bible references they knew so well! I highly recommend this as a spring, before Easter read. It would enhance the season like Jotham's Journey does Christmas. What a gem! I cried because it was sad, and because it was beautiful and hopeful! I felt Philo's insatiable hunger and I saw the roads he traveled. I felt the joy in little Ione's heart. This is written for, I'd guess, 12 year olds and there are some issues if you're going to nit pick but as an emotional and spiritual experience, it was perfect! I love how Jesus transforms lives! The ending of this book is great! However, I could do without the graphic descriptions of a young woman possessed by a demon. Not one of her best books. I liked it but there wan't enough of his unque story in it since I had heard these storys OVER AND OVER. I don't remember much about this, I read it so long ago. But I know I really liked it at the time. We (the kids and I) all loved this book! I enjoyed reading this book to my children. Fantastic book, wonderful author--it was wonderful to read this book with my children.